Pathways: Science is Britannica’s computer–based program designed to supplement the regular middle school curriculum. The purpose of the site is to reinforce critical thinking skills, increase and reinforce content knowledge, and promote the use of evidence to support and evaluate one’s ideas. The site opens to a list of ten large topics including, the Nature of Science, Living Systems, Environment, Matter, Force & Motion, Energy, Light & Sound, Earth Systems, and the Universe. Each of these topics opens to generally 8–10 lessons. For example, Living Systems includes separate lessons on Body Systems Interactions, Cell Models, Cells & Growth, Cells in Living Things, Cellular Respiration, Photosynthesis, Food Production, Plant Stems, and Sources of Plant Mass. From the student’s point of view, each lesson opens with a pre–assessment activity—usually a drag and drop of vocabulary into a Yes/No Concept chart. A wrong answer is highlighted in red and the students is congratulated on what they got right and encouraged to work through the lessons to find out the correct answer to those s/he missed. Next the student is presented with a question that forms the core of the activity series. A selection of statements is offered and the student is to choose the statement that most closely reflects the student’s current understanding. The remainder of the lesson consists of a series of activities and review of resources that may or may not support the student’s choice. As they progress through the activities, the student is encouraged to evaluate new information and decide if it does or does not support the student’s idea. The word “prediction” is used here to describe choosing the best answer for investigating and evaluating. I think that more discussion about the use of the word “prediction” becomes necessary here. The prediction closely resembles a hypothesis, but that word is not used. After this initial “prediction”, the chosen statement is referred to as “an idea”. The lesson continues by having students investigate their idea. They are presented with resources such as graphs, articles that are adapted to three reading levels, videos, and images. Students select the first resource and respond to the resource by answering up to three questions about the topic. For example, in cellular respiration and ATP, the student is required to answer “What is ATP?”, “Why is respiration more efficient than fermentation?” and “What information in the article/video/graph supports or contradicts your idea?”. Students continue to view and respond to resources, taking notes as they go. Their responses and notes appear on the Conclusion page. They classify their notes as supporting/refuting their idea or stating they are not sure. The final conclusion page has the student select that their idea is correct or incorrect. The correct answer is given in a separate page where students learn why the correct answer is correct. They are given further resources to view if they had chosen the wrong idea. They are also told why their idea may be wrong. The lesson ends with Test Your New Knowledge which usually includes a classification of statements as true or false. All of the student’s work is recorded for the teacher to peruse. Teachers have a dashboard which allows them to set up their classes online to manage student work. Curriculum stands are listed along with a video demonstration of the site and an online tour. Each page of the student workbook gives access to Teacher Notes, Lesson Notes, & Materials. The materials lists and describes the resources that students can access. In the Teacher Notes, you see a list of lesson objectives, topics, time required (usually two days), common misconceptions, activity details, and background information. You can also access the teaching philosophy and implantation models, which include student–led, teacher–led, or offline models. Each page also gives access to printable worksheets that mirror the web–based questions and may help students organize their notes and comments. 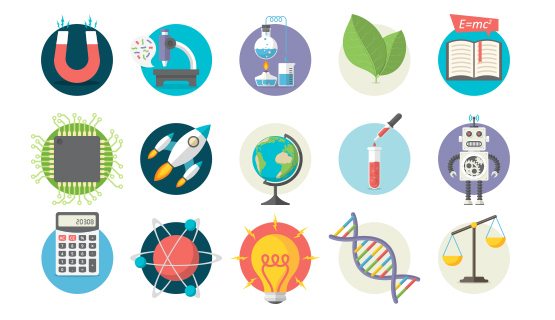 The Nature of Science topic includes sections on scientific inquiry, laws & theories, maps & globes, models, role of theory and theories & hypotheses. I would use this resource to allow students to practice and reinforce their content but would be sure to walk the kids through the process and model how to use the site thoughtfully. The site does not preclude or substitute for instruction. It does add a layer of critical thinking and models for the teacher how to incorporate the discussion of evidence into instruction. The annual minimum cost per building for the program is $750. A 30–day free trial is available. The program was awarded the 2014 Teachers Choice Award and ISTE’s 2014 Best of Show Tech Learning award.